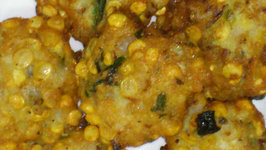 Gobi 65, sounds indo-Chinese but is a South Indian delicacy. 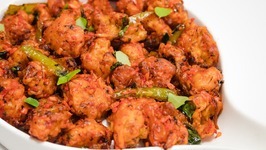 Origins of which are traced back in Chennai, this gobhi 65 recipe is actually a twist and made the true .. Spinach and cheese balls- this power-packed snack is made up of cheese and paneer, 2 dense sources of protein. 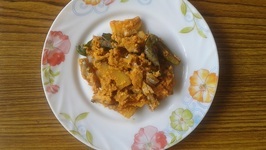 Paneer has a bland flavor and thus blends well with any ingredient. 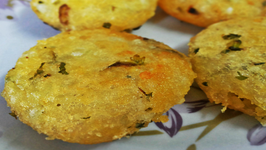 A must make Indian snack for any gathering. 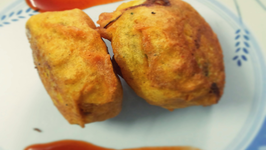 These vadas are a vegetarian delight. A perfect snack on a rainy or cold day. 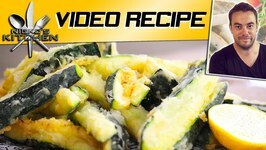 A little bit tricky, but you are definitely going to enjoy this with your family and friends. 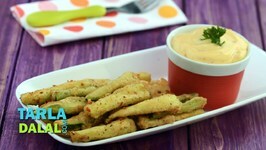 A scrumptious deep fried snack which will leave you wanting for more. 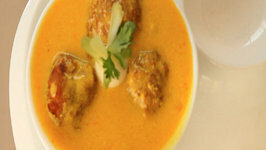 Authentic Punjabi dish, perfect for summer because of its cooling effect which comes from yogurt. 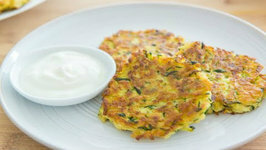 The vegetable fritters added to the dish makes it complete. 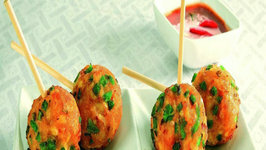 Machher Dimer Bora or Fish Egg Fritter - is a favorite snack for almost every Bengali in the world. 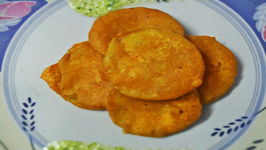 You can also serve this as a main dish, by making a spicy curry with ..
How about turning a boring bottle gourd into a crispy fritters? 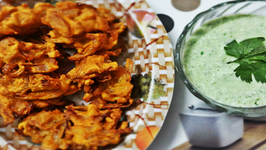 This one is for all those kids who hate bottle gourd but love fritters. 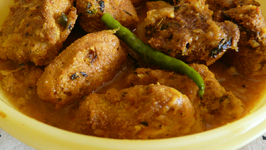 South-Indian fish preparations always possess an excellent flavour and exotic taste. 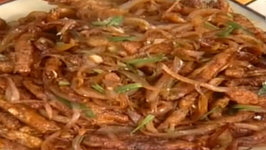 This Nethili Maangai Aviyal(Anchovies with mango) is a popular preparation in Kerala ..
Onion Fritters - an all-time favorite snack, are often served with tea and chatpati chutney. 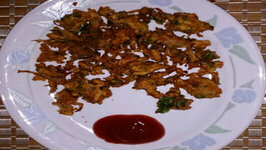 If you want to make crispy pakodas, then you should not add water to the mixture. 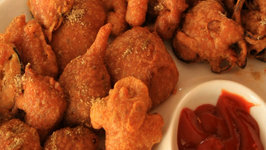 In a rainy day Aloo Pakodas (Potato Fritters) are a delight to relish. 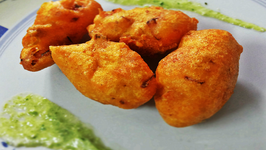 This Kurkura Aloo Pakoda is a stealer if teamed with ginger tea and Coriander - Yogurt Chutney. 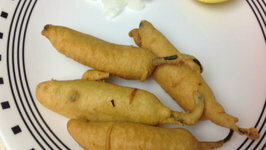 This dish is very similar to the very common egg fritters. 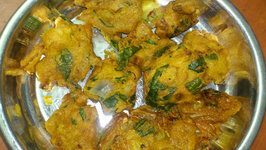 You may serve the fritter as it is or sauteed with sauces and spiced with green chilies and black pepper to your taste. 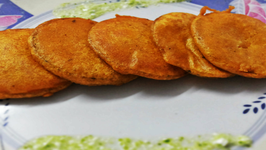 Uzhunnu Vada, though a traditional South Indian snack and a common dish in a South Indian breakfast menu, today it is a favorite all over India. On the roads of Delhi, Mung ki Dal Pakoda is very popular and this is often served with a mint coriander chutney and grated radish. 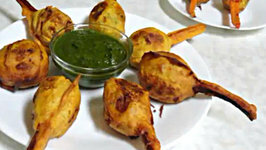 These pakodas are yummy and very easy to make. 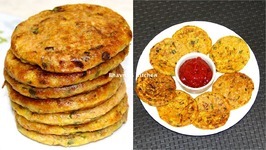 These indian fritters are made for special occasions in the indian household. 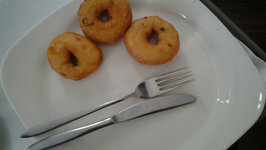 There are different types of vada's and this is one of them.Tasty and crunchy !! 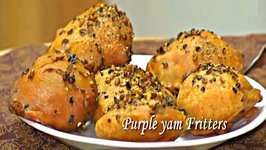 Ratalu or purple yam, which is generally not liked by people, but you can't say no to this delicious dish.